Add style to your walls with the Antique Door Wall Mirror. 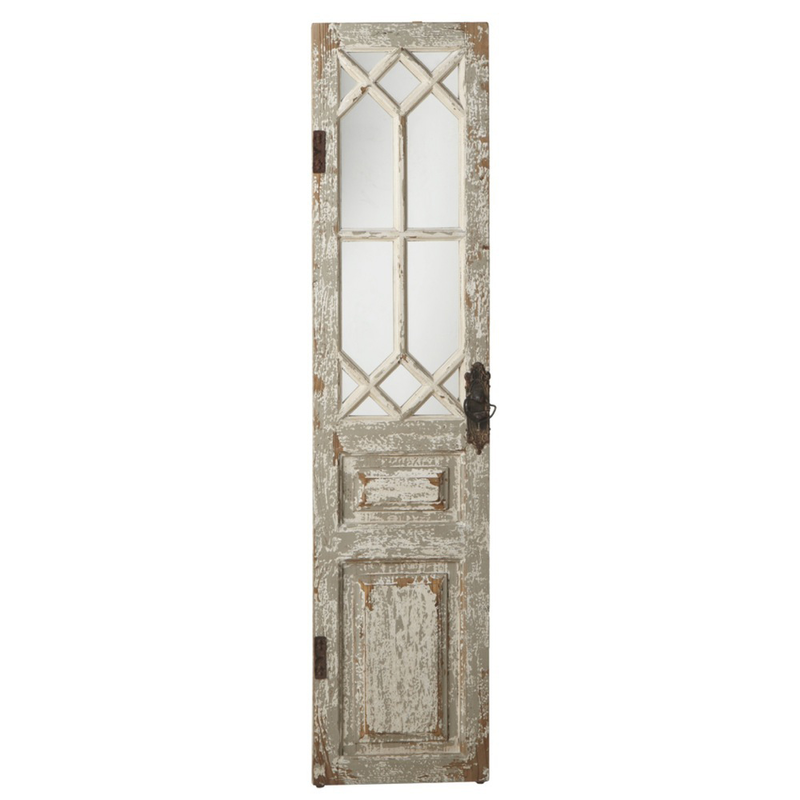 These coastal mirrors are designed with a narrow distressed door with criss-crossing accent bars to complement your rustic decor. Ships from the manufacturer. Allow 2 weeks. Cannot express ship. For further offerings, we ask you to spend some time to browse our comprehensive inventory of coastal mirrors at Bella Coastal Decor today.